Number of Shares: 647 M.
CAB CAKARAN CORPORATION BERHAD, through its subsidiaries is engaged in production and trading of food products primarily in Malaysia, the People's Republic of China and the Republic of Singapore. The company is involved in cultivation of timber crops; breeding of parent stocks and hatching of eggs into a day old chicks; breeding of broiler chicken; processing and marketing of chicken; and trading of poultry feeds and other farm consumables. It also processes fresh and frozen fishes, prawns, and other marine products. In addition, the company is involved in fast food operations, including manufacturing of bakery products, retailing of fast food and operation of restaurants and franchisees. Further, it processes, exports, distributes, and markets frozen marine products, chicken products, barbequed meat, and other food products. Additionally, the company is involved in letting of properties and renting of property, and is also involved in plant and equipments. 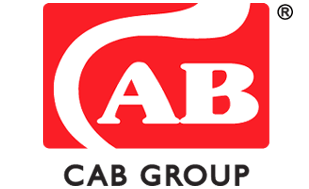 CAB CAKARAN CORPORATION is headquartered in Penang, Malaysia.